“When I Grow Up” is the latest stylish addition to the PaperBoy wallpaper range, capturing the imaginations of youngsters and adults alike.The company has gone from strength to strength since its inception, its creator Victoria Cramsie looking to elevate children’s interior design above licensed characters and me-too patterns. This is an unenviable task perhaps, but one that Victoria has more than risen to. The story behind “When I Grow Up” is simple, a fun and modern twist on the concept of ambition, studying what components a ‘boy-making machine’ would need to create the next generation of train drivers, footballers, chefs or doctors. These hand-drawn designs are turned into papers and fabrics right here in the UK by companies considered among the best in their field, also using sustainably sourced materials that give the sleekest of finishes. Thanks to PaperBoy Interiors, children’s décor will never be the same, “When I Grow Up” available in a range of colourways and epitomising everything that is great about the brand. The new collections retail at £60.00 per 10m roll. 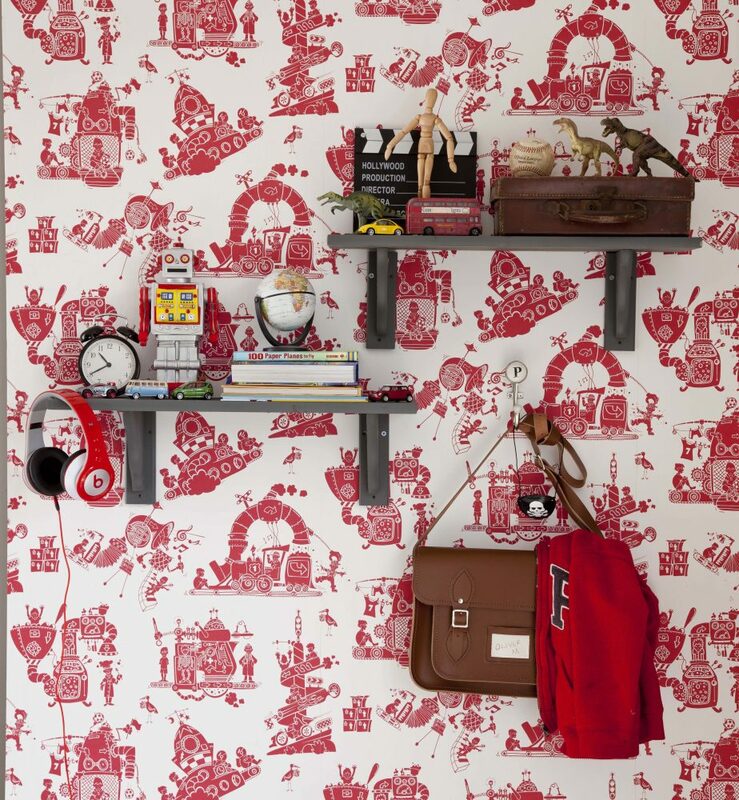 For further information visit www.paperboywallpaper.co.uk.